Be the first to share your favorite memory, photo or story of Lucille Margaret. This memorial page is dedicated for family, friends and future generations to celebrate the life of their loved one. Lucille Margaret Vanderbilt Pate, 80, widow of Wallace Fennell Pate, passed away September 9 at her home on Arcadia Plantation, near Georgetown, SC. Lulu was born on July 6, 1938 in Honolulu, Hawaii. Lulu was the daughter of George Washington Vanderbilt and Lucille Parsons Balcom. She grew up in Palm Beach, Florida. 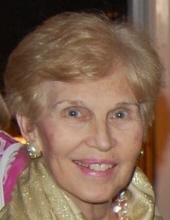 Lulu attended Palm Beach Day School and graduated from Foxcroft School in Middleburg, Virginia. As a young girl she traveled extensively with her mother and stepfather, Ronnie Balcom. She also joined her father on several of his nature expeditions in the Pacific Ocean, as well as spending time with him at Arcadia during winter vacations. Summer vacations were also very special as they were spent with her grandmother, Margaret Emerson, along with her cousins Sandra Topping and Tony Topping at Camp Sagamore in the Adirondacks and in Long Island, NY. Lulu inherited Arcadia from her father and her focus in life was to preserve this land that she loved so dearly, as well as the people who were an integral part of the plantation. Conservation was something she felt strongly about and she spent her entire life being a responsible steward of the property. Lulu enjoyed painting, photography and genealogy. Philanthropy was extremely important to her and she felt that “to those who much has been given, much is required.” She believed with all of her heart that people should treat others with respect, no matter what their station in life. She thoroughly loved spending time with her family and friends and was always willing to do anything for them. Lulu was a member of The National Society of the Colonial Dames of America and also the President Emeritus of The Wallace Pate Foundation Board. Lulu is survived by her sons, Phillip Vanderbilt Brady and Robert Mathews Balding, Jr. (Eve) and a daughter, Dawn Balding Pate (Fen), stepson John McDonald Pate, Stepdaughters Lawly Pate Ford (Jeepy), Dorothy Parker Pate, and Beckham Pate Dunbar (Jimmie). She is also survived by 13 grandchildren and step grandchildren, Allston Parsons Pate, Emerson Fennell Pate, Margaret Pringle Balding, Sara Mathews Balding, Francis Bell Ford III (Mari), Wallace Pate Ford (Caroline), Stella Ford Dawson (Andrew), Rachel Lyle Bridgers, Sherrod Bridgers Law, Ellis Hutchison Bridgers, Becka Dunbar Clayton (Jonathan), James McAlister Dunbar, Jr. and William Pate Dunbar, and 2 step-great grandchildren. She was predeceased by a son, Kenneth Parsons Brady and a step grandchild, Jackson Stripling Dunbar. Lulu’s family would like to extend a very heartfelt thank you to her very special caregivers Gloria Linnen and Oxilia Line. A private memorial service will be held in the Arcadia Plantation Garden. Memorials may be made to Tara Hall Home for Boys, PO Box 955, Georgetown, SC 29442 or St. Frances Animal Center, 125 Ridge Road, Georgetown, SC 29440 or the charity of your choice. To send flowers or a remembrance gift to the family of Lucille Margaret Vanderbilt Pate, please visit our Tribute Store. "Email Address" would like to share the life celebration of Lucille Margaret Vanderbilt Pate. Click on the "link" to go to share a favorite memory or leave a condolence message for the family.